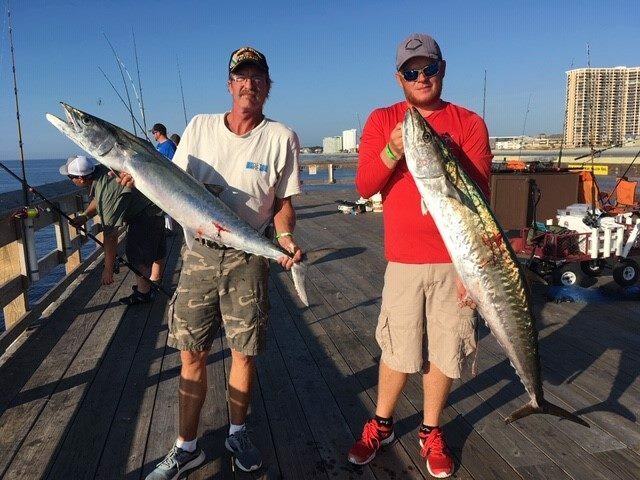 King mackerel have been coming over the rails of Apache Pier for the past 11 days, including this double caught earlier today. 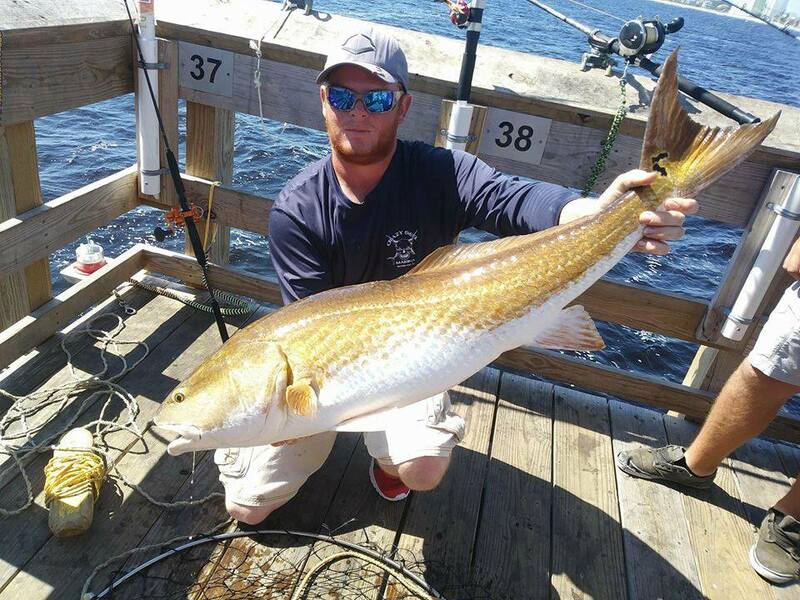 Bull redfish like this one are also keeping anglers busy on Apache Pier. Anglers have caught 29 king mackerel from Apache Pier in the past 10 days, including this 42 pounder. 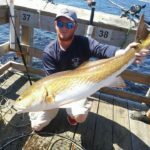 Saltwater fishing usually picks up in the fall, and this year has been no different along the Carolina coastlines. 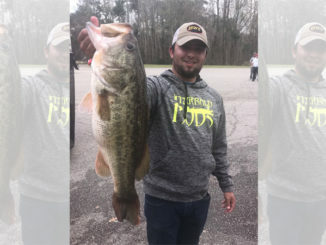 Inshore, offshore, nearshore, surf, and pier fishing has been great in the waters of both states for the past couple of weeks, and one of the hottest spots lately has been the Apache Pier in Myrtle Beach. 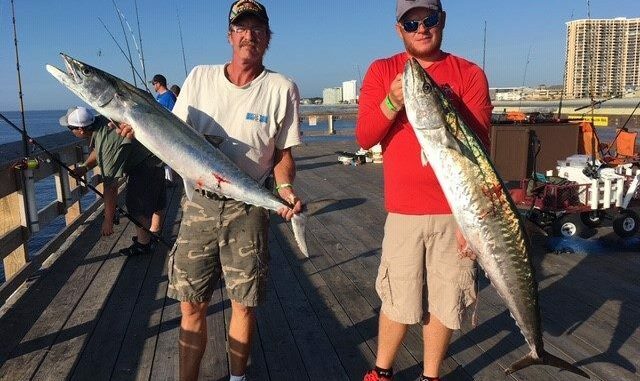 In the past 11 days, anglers have caught 29 king mackerel off the Apache Pier, and they have ranged in size from 17 pounds to over 42 pounds. But that’s not the only species anglers are catching at Apache. 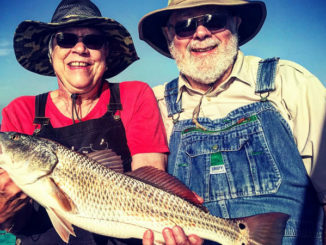 Anglers are also currently catching bull redfish, slot redfish, black drum, sheepshead, Spanish mackerel, flounder, speckled trout, and pompano. 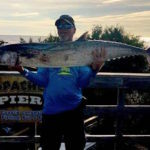 King mackerel fishing is a bit more specialized than fishing for other pier species, and for anglers without a boat, fishing from a pier is about their only shot at catching a king. Anglers use two rods when king mackerel fishing, and they fish straight out from the pier as opposed to beside it. The end of the pier is actually reserved for king fishermen for that reason. One of the two rods used by king mackerel anglers is an anchor rod. It’s got a big weight with wires that dig into the bottom, keeping it solid and secure. 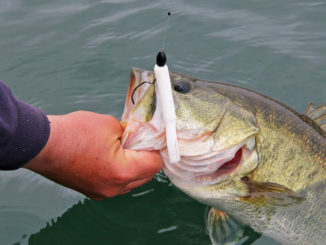 On the other rod, anglers use a live baitfish — usually a bluefish — and a clothespin-type device connects that line to the anchor line. This allows the baitfish to swim somewhat freely in a fairly small area, and when a king picks up the bait and runs, it pulls the lines apart and the angler and king mackerel fight it out unencumbered by the weight on the anchor line. 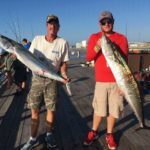 King mackerel generally stay out past the breakers, and run up and down the coast chasing baitfish in big numbers during the fall. The Apache Pier offers anglers a perfect spot to ambush them. At 1206 feet in length, it’s the longest wooden pier on the east coast. This puts anglers within easy casting range. 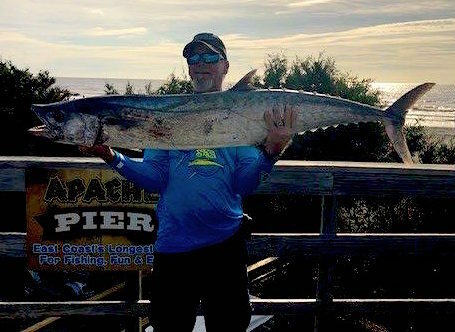 With its own well-stocked bait and tackle shop, restaurant, shaded areas on the pier, and live entertainment, the Apache Pier is open every day of the year, and their current hours are 6 a.m. to 10 p.m. Sunday through Thursday, and from 6 a.m. to 11 p.m. on Fridays and Saturdays. 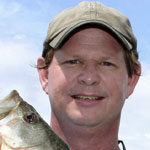 Click here to check out more information and the pier’s latest catches.